Competitor control panel Marks your progress on a 5x7 workout matrix. Four large LCD windows as well a LED 1/4 mile running Track for immediate feedback e.g. Speed readout and calories burned. Pulse sensor hand grips. 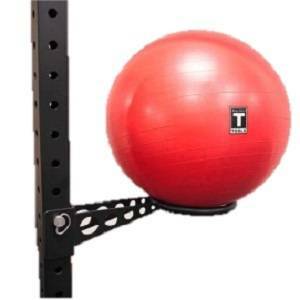 Speed and incline adjustments within easy reach. 0-10 mph QuickSpeed control button. Adjust 1.5 to 10% Power Incline to intensify your workout . iFIT control via Internet for custom workouts. 18"x 50" non slip treadbelt for full strides. Quiet operation with cushioned deck to reduce joint stress. Floating deck with impact isolators. Powerful 2.5 hp motor for smooth pace consistancy and long term reliability. Patented SpaceSaver design. What is an EKG treadmill? EKG treadmills have pulse sensors built in, usually on the side bars or handlebars but sometimes on separate grip bars affixed to the upright in front of the runner, as on the Proform Crosswalk Caliber, CS11e, and 730 treadmills. Pulse sensors monitor the heart rate and the result is displayed in the console. There are advantages to EKG treadmills. Having heart rate information displayed allows those with concerns about cardiovascular health to limit their exercise to safe levels. Those on weight loss programs find heart rate information especially helpful because the optimum workout for burning calories is indicated by how hard the heart is working-the optimum training zone. 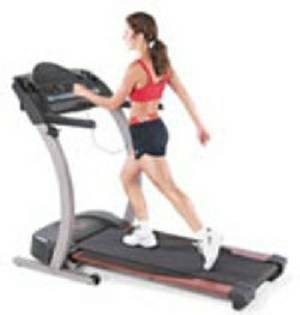 Workout speeds and deck incline can be adjusted to maintain a workout within the optimum range. Sports training enthusiasts can track their aerobic conditioning by monitoring heart rate information over a period of days and weeks. And after all, whether exercising for weight loss, general fitness, or sports training, working out on a treadmill is all about the health of your heart and your cardiovascular system. Proform Treadmill is one of the most popular brands on the market today whose products are some of the most requested models and that due to their quality and their low cost, aimed at beginners. This line’s treadmills have been around for ages, being produced by the largest fitness equipment manufacturer in the world, Icon Health and Fitness, which produces models for other popular brands too, like: Reebok, Image, Weslo or Nordictrack. Proform 770 EKG Treadmill is one of the most known and most requested models. It represents a good value for money, being perfect both for those who want to stay in shape and for those who want to lose weight. With a fairly powerful motor of 2.5 horsepower, it is proper even for those people who want to work more intensively, like those advanced athletes whose goal is to maintain their fitness level. This treadmill, like all Proform models, has a SpaceSaver technology which allows it to be folded up after used, being perfect for those who deal with the lack of space, but also for those who used to travel very often but who still want to take care of their health and body. Proform 770 EKG Treadmill has many features to offer, one of the most important ones, as its name also suggests, being the EKG pulse sensor, which informs you about your pulse, letting you know if you are in the right fitness zone, a zone which allows you to achieve your fitness goal. Another important feature is the competitor control panel with 4 large LCD displays which provide feedback about your workout, giving you important information like: the distance you have made, speed, time and even the number of burned calories, helping you so supervise your progress and improve your training program.